Curren$y (a.k.a Bowtie Man) really does possess superhuman powers. Every year, Spitta&apos;s tireless work ethic has allowed his fans to get an abundance of new music from him, whether its free or for purchase. 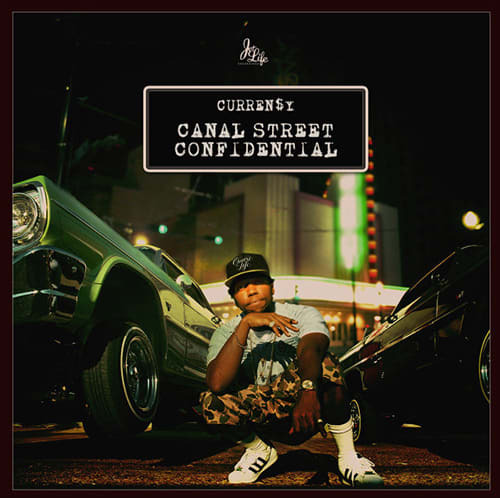 After releasing Cathedral with Chase N. Cashe and Pilot Talk III, he’s prepping one more album titled Canal Street Confidential. One of the singles, “Bottom of the Bottle,” just received the visual treatment with Lil Wayne and August Alsina, where you can catch them playing spin the bottle with some lady friends. You can watch that video here, as well as listen to “Boulders” below, a free download when you pre-order his album on iTunes before it arrives on Dec. 4. Oh! Canal Street Confidential Tour dates can be found on his Instagram.